Many people believe that Jesus received His humanity from Mary. This is a dire misconception. They believe also, that Mary remained immaculate even after Christ was born. Nothing could be further from the truth. Such inaccuracies are the epitome of false doctrine. Christ’s birth was immaculate because He is God clothed in flesh, a work of the Holy Spirit. For Christ to have received His humanity from Mary would require the Messiah to have received Mary’s DNA. Receiving her DNA would mean Christ would not be the spotless Lamb of God. (John 1:36) Mary was tainted with sin as was all humanity from the fall of Adam and Eve. (Luke 1:46) Thinking God needed humans to accomplish His plan of salvation is belittling to God. Mary was a chosen vessel. God knew her heart, and saw her spirit of obedience. (Luke 1:38) He chose Mary to be a mother to His Son. She was the vessel God chose to bring the Savior to a sin darkened world; that’s it. The demands of culture dictated young women to be virginal. Mary was special because she specifically was used of God. As all the people in God’s Word, were chosen. To venerate Mary above Christ is sacrilege. Those who worship Mary do not believe the Word of God. Christ is God-Man; “Emanuel, God with us” (Matthew 1:23) God has NO SIN. He cannot look on SIN. (Matthew 27:46) Jesus took upon Himself all our sins. (Isaiah 53:5-6) Why would a holy God choose to have His Son tainted with Mary’s sin nature? Belittling the work of God for irreverent religious doctrine is abhorrent and offending to an Almighty God. May God have mercy on all those who believe Mary had anything to do with Christ’s formation. God the Father placed His Son’s body on earth, in Mary, a vessel which allowed Jesus to be born. Therefore He is not ashamed to call us His brethren. 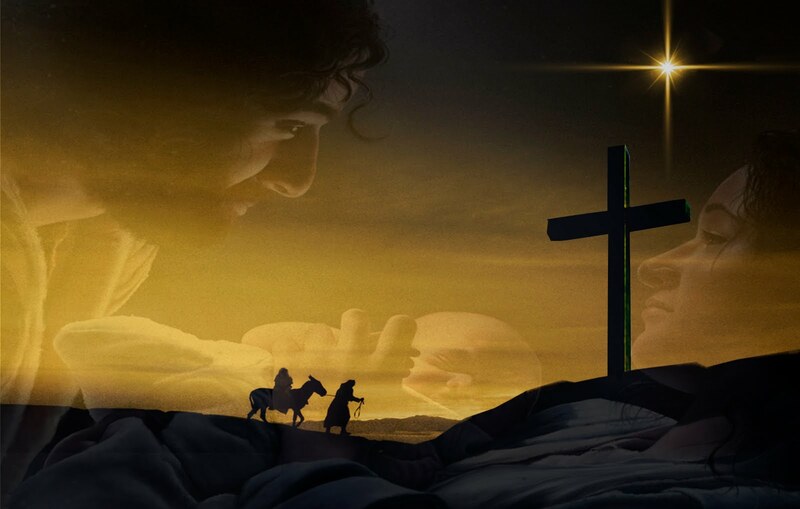 (Hebrews 1:5-6 ; 2:11-15) The Father gave His Son a body to accomplish Calvary; no mere human being could withstand the cruel suffering Christ experienced. Yet, God Incarnate would accomplish all for the people He loved. The apostle Paul said it best. “….while we were yet sinners Christ died for us.” (Romans 5:8) How wonderful! How glorious! The God of all eternity gave His all to save a people who were ignorant of His salvation plan!